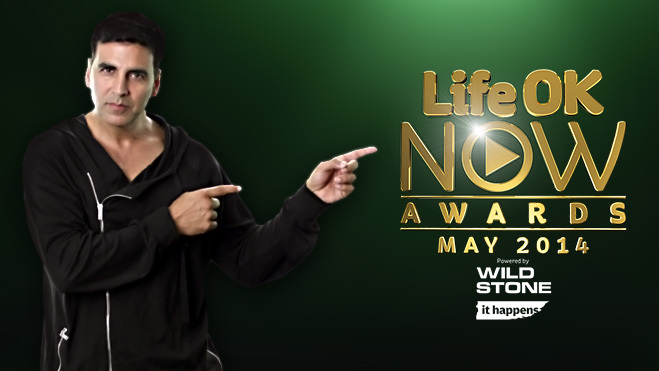 Life Ok Now Awards (LONA) is an award show which will honor and give awards to actors and artists based on their recent successes while celebrating excellence in the field of films, music and television. Thus instead of annual awards, the temporal scale will reduce to monthly basis and awards like Song of the Month, Movie of the month, etc will be given. 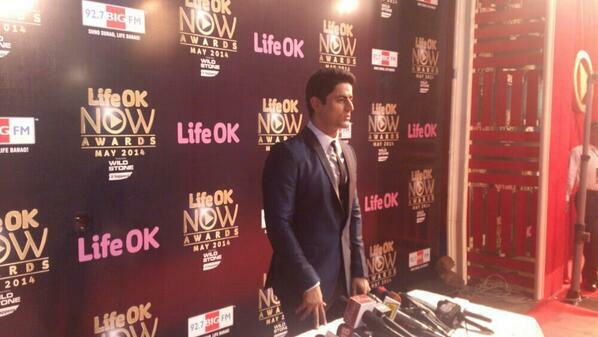 Thus, Life Ok Now Awards will be once every month, and the winners for the awards are chosen by 100 % public voting. LONA Awards was telecast on Saturday (yesterday), 31st May 2014 @ 8 PM on Life Ok.
Mohit Raina officially unveils and starts the award night. Best Singer of the Month Female – Shalmali Kholgade for the song Besharmi ki Height from movie Main Tera Hero. 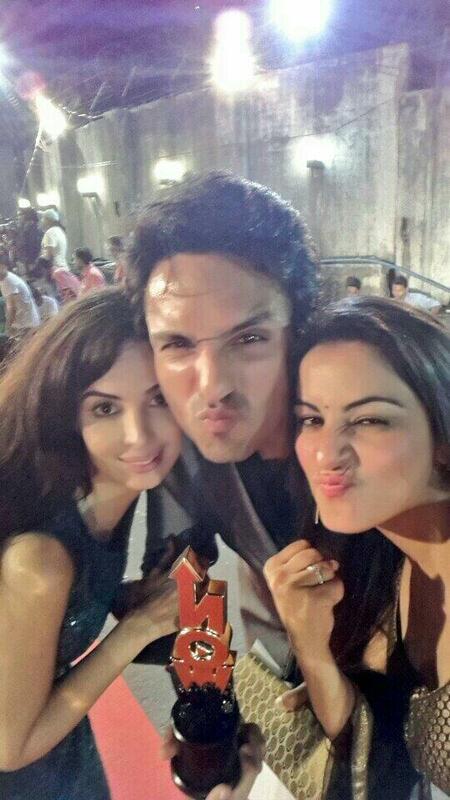 * Elli Avram dances on Baby Doll remix song. 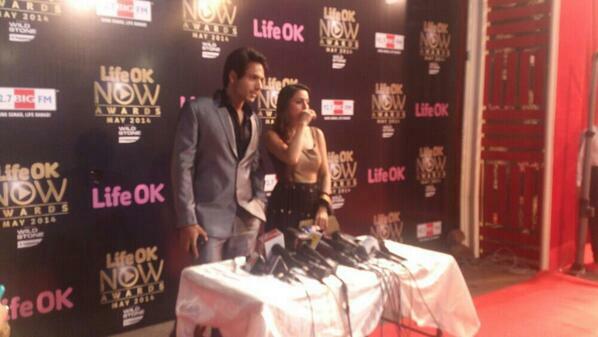 * Baawre: Unveiling of Life Ok’s new show on-stage. Vinita Joshi playing Yamini on the show dances on Titli song from Chennai express and her co-star Abhishek Rawat joins her on the Titli song and both dances together. After dancing on the Titli song, they enact a scene from their upcoming show and also speak few lines introducing the show and sharing some glimpse on the show’s plot which is their based in Lucknow. While, Yamini is a successful singer and the one who is fulfilling her father dreams while Nikumbh tries to realize his aspirations and goals while starting out from a small town. * Ek Villain movie Stars: Siddharth Malhotra and Shraddha Kapoor performs and dances on the song – Teri Galiyan from their movie. Shraddha also sings the same song on-stage after requests from the hosts. 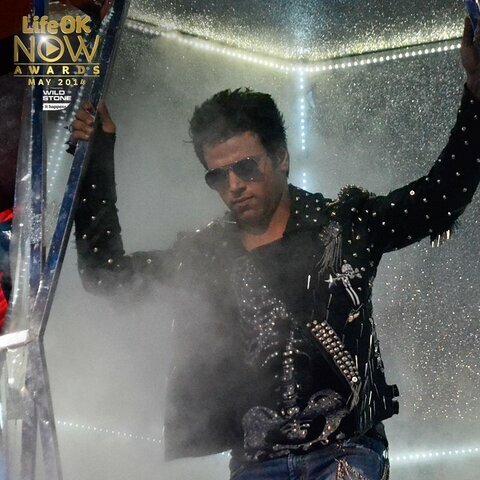 The last performance on the show is performed by none other than Bollywood megastar Akshay Kumar. * Akshay Kumar shows action scene by coming on stage on a moped and breaking glasses. He then dances on the song – Aaj Dil Shayrana lagta Hain from his movie Holiday. 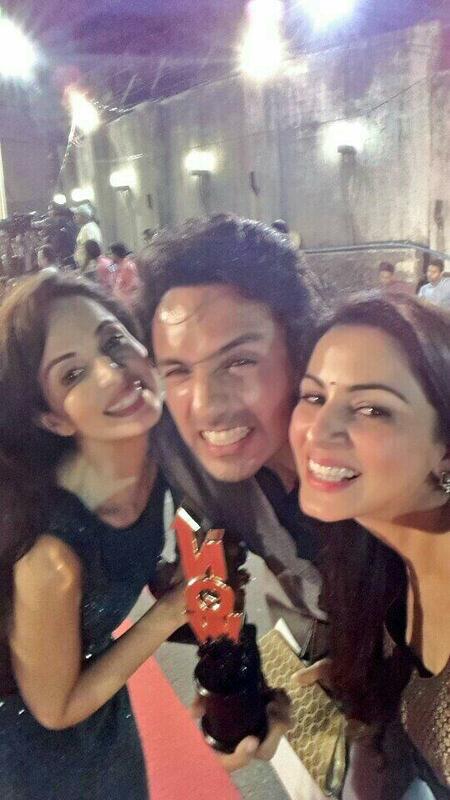 He also enacts comedy with Bharti Singh and even dances with her on Aaj Dil Shayrana song. 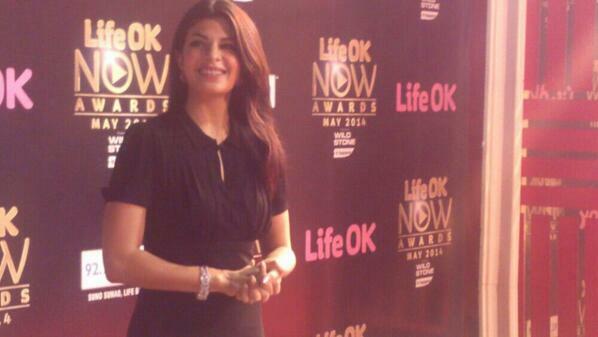 Images credit: Life OK website and Twitter page of Life Ok.
Life Ok NOW Awards Playlists with Promos, and Performers’ Interviews and Rehearsals.